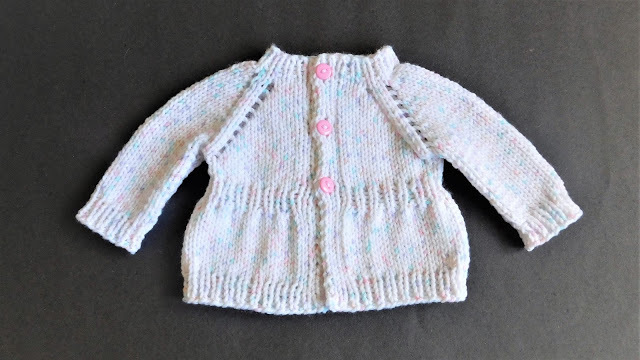 List of knitting patterns for baby sweaters freely available on the Internet. Raglan is a very popular technique for knitting the sleeves of baby sweaters. A raglan sleeve is a sleeve that extends in one piece to the collar. The tell-tale sign is a diagonal seam from the underarm to the collarbone. The following list of baby sweater knitting patterns all feature the raglan sleeves. Marianna offers the Billie baby jacket in 3 different sizes. The little ribbing in the middle of the sweater gives the sweater a “waist” makes it looks like an adult jacket. Helena is a fairly simple lacy skirt-looking cardigan. The sweater enclosure is made up of knitted ties instead of buttons. This is a great child-friendly embellishment because no buttons will drop off and get swallowed. 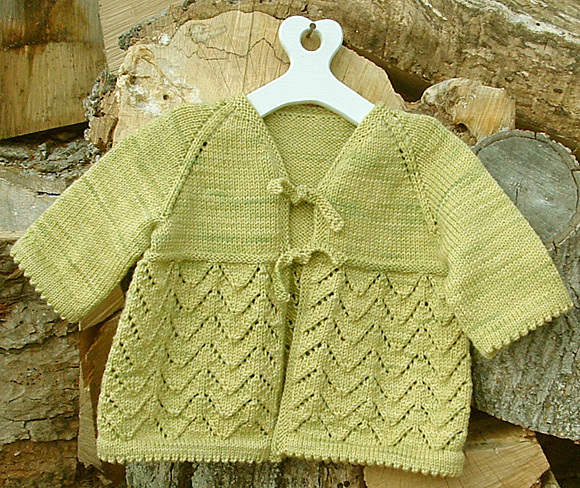 Max’s baby cardigan features a pair of single cables on the front of the cardigan. The pattern isn’t professionally written but everything is there. 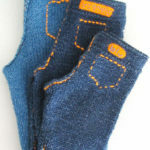 The sleeves can be knitted full-length or three-quarter long. 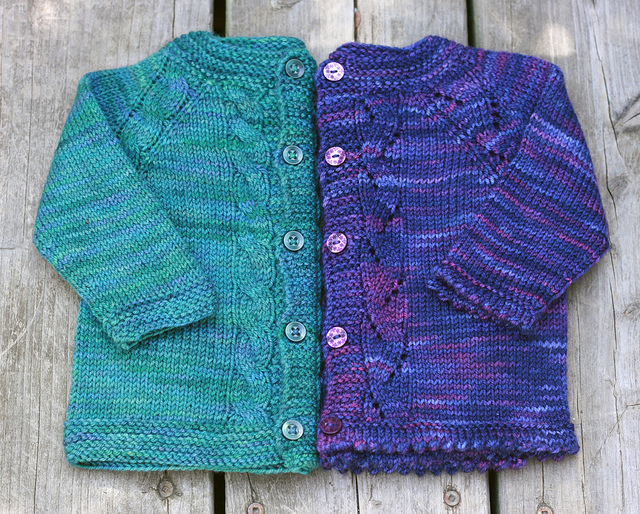 The pattern of Peter Pan Bubble baby cardigan includes 2 versions: round and v-neck. There are quite a bit of seaming up here as you have to knit the back piece, the 2 front pieces, the 2 sleeves and neckbands all separately. I am not a fan of this type of construction but I do like the bubble stitch at the bottom half of the sweater. 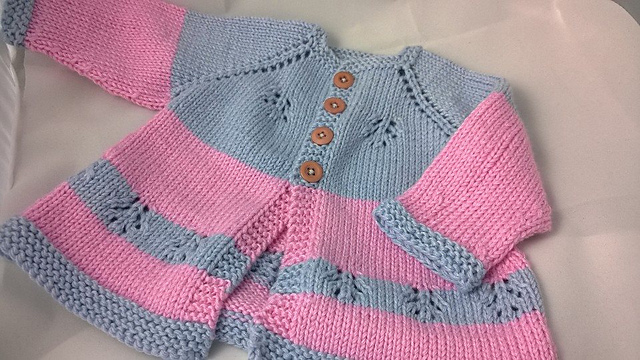 Although the pattern for Elsa cardigan is written by a non-English designer, it was still quite well written. The designer said that it is more like detailed notes, which I agree. I made Elsa using bamboo cotton yarn and I am quite happy with how it turned up. The designer Tanis Lavallee, wanted to design a little sweater that used up one or two skeins of yarn. She created 2 different detailings. One is a lacy zigzag motif with a picot edge which is pretty for a little girl. The other one is a handsome rope cable paired with a garter stitch hem more suitable for a boy. 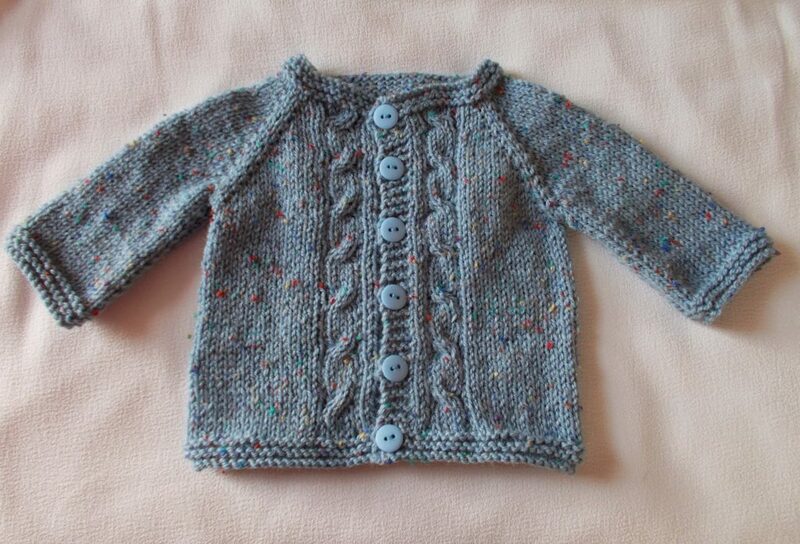 Opera baby cardigan is another 5-piece sweater. 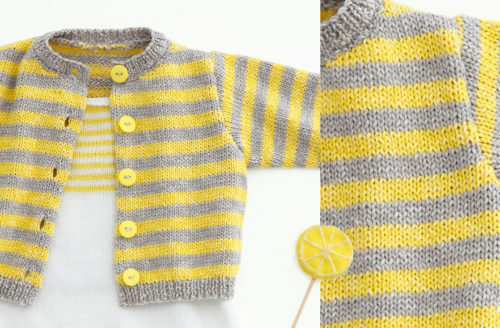 I thought it is worth the while because the yellow and grey stripes work so well together. I plan to do the Peter Pan bubble cardigan first to get the hang of stitching up 5 pieces before attempting this Opera baby cardigan. If you like this list, you might also like my knitted baby ponchos list.